Simply the perfect gift for sporty Dads. Perfect for birthdays, Christmas and Father’s Day! 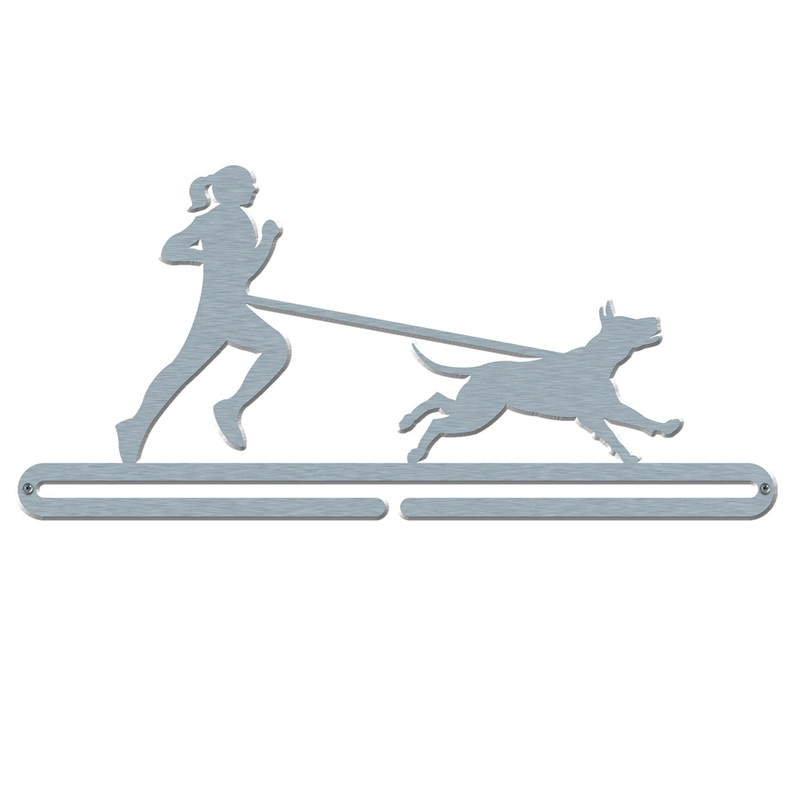 This stainless steel medal display is perfectly suited to sporty Dads everywhere. 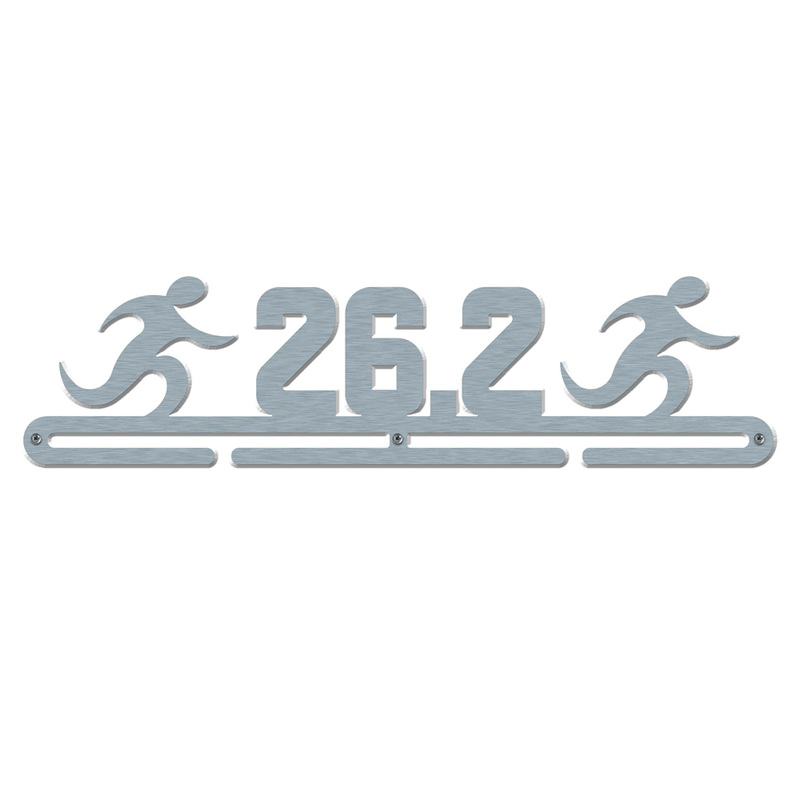 If your Dad takes part in running events, triathlon events, or any sport where he receives a medal and needs somewhere to create a medal display worth shouting about, this is the perfect gift for him. 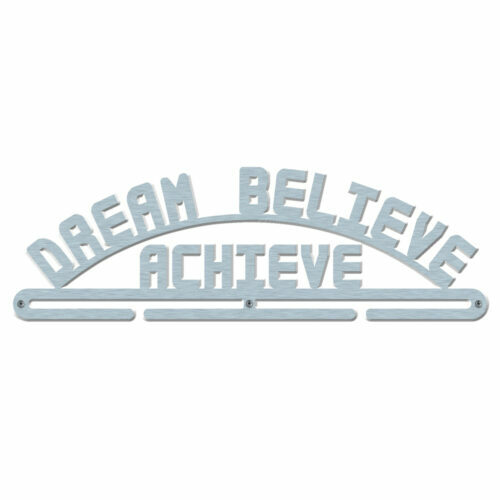 Made from British stainless steel and manufactured in Great Britain, this medal hanger is 1.5 mm thick and can hold upwards of 20 medals, provided you overlap the ribbons. Your Dad’s medals may be tucked away in a drawer, hiding under the bed or trapped in a box. Give your Dad a gift to treasure and make sure Dad’s medals are displayed in pride of place. 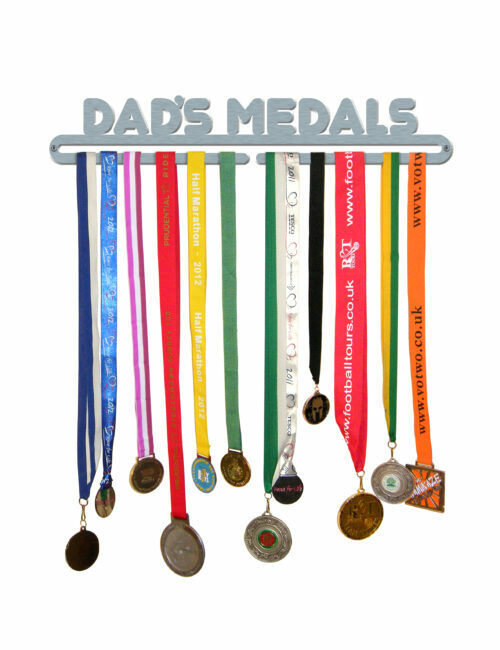 This is the perfect medal display hanger for sporty Dad’s everywhere. This is for the superhero Dad, the fast Dad, the Dad who comes first and the Dad who comes last. Make sure your Dad is as proud of Dad’s medals as you are. Bought as Father’s Day gift, he hung it up straight away and it looks great! Much better than his pile of metals collecting dust in the cupboard. Now my boys want one for their medals, and maybe one for me too! Arrived and I’m so happy with it! Brought it as w Christmas present for my dad. Can’t wait to give it to him!! !